Sheroes' Cafe in Agra is a project founded by and for the women of India who are survivors of acid attacks. We were so inspired by meeting Rupa and learning about her story and her road to physical and emotional recovery after her brutal attack at the age of 15 by her stepmother. 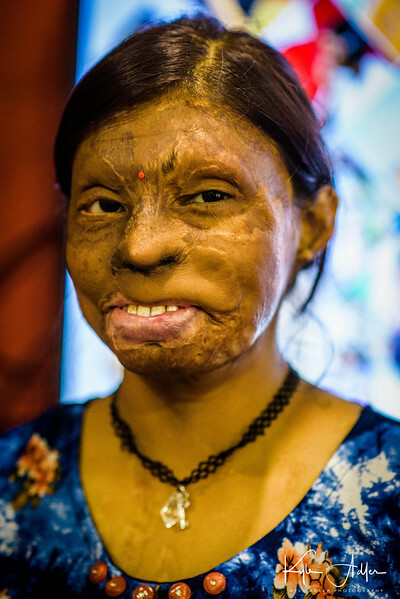 Through this project, Rupa has gained the confidence and independence to leave home, meet other survivors and activists, build a business as a clothing designer, and access the surgical care required to reconstruct her face. The courage and resilience shown by the women we met at the cafe moved us to want to help their cause to educate people and improve the treatment of India's women.